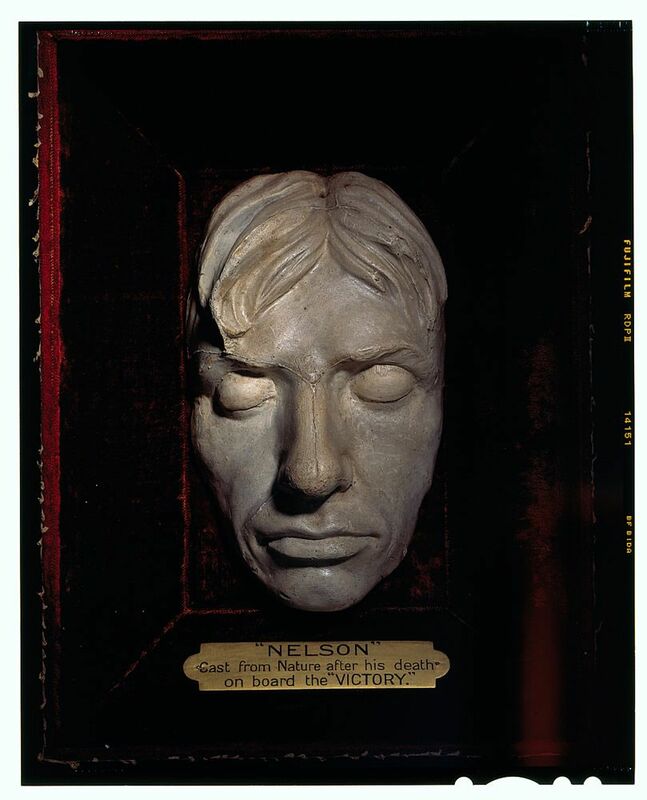 Life mask in white plaster of Lord Nelson by Franz Thaller and Matthias Ronson, Circa 1800. Mounted in deep, glazed case, lined with red velvet and with a gilt plaque with inscription 'Nelson cast from nature after his death on board the Victory', all contained in gilt frame. This Life Mask of Admiral Lord Nelson Art Print is created using state of the art, industry leading Digital printers. The result - a stunning reproduction at an affordable price.